The best leaders maintain control of their emotions. Control of one’s emotions is central to the first power in 4 Power Leadership—The Power of Poise. Great leaders seldom, if ever, let a situation trigger an emotional outburst. Great leaders know that this type of behavior is not image-enhancing in the eyes of peers and subordinates. Emotional outbursts do not sow the seeds of confidence and are counterproductive to relationships. In contrast, leaders who are in control of their emotions are frequently described as having poise. What does it mean to have poise? President Truman was astutely observing that leadership begins with the mastery of the inner self through self-control. Self-control in turn yields the quality of self-possession, leading to full ownership of your emotions and ultimately resulting in the Power of Poise. What you project externally comes from who you are internally. 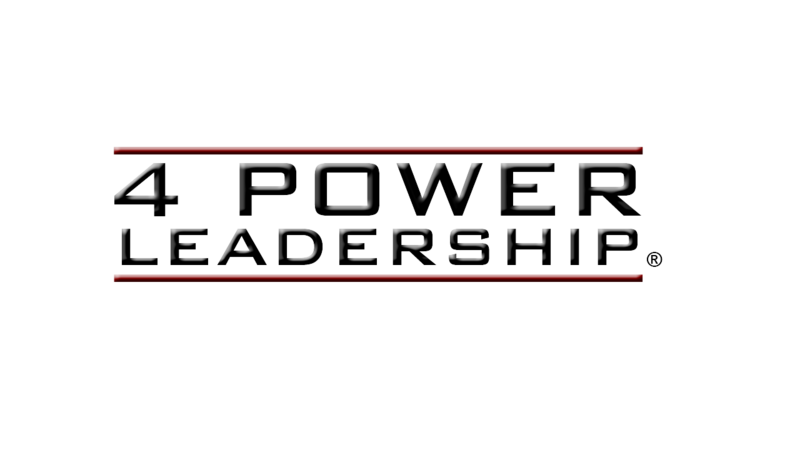 The fully poised leader must have an inner self that is understood, composed, nurtured, and directed with purpose in order for his external self to project the proper leadership impact. Researchers and authors Kouzes and Posner conducted an extensive survey that sought to identify qualities people value most in a leader. 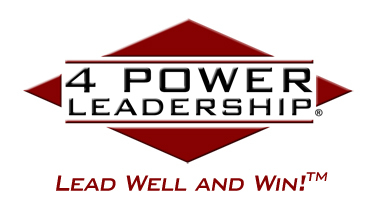 Self-control consistently posts last or near last in the survey results; nonetheless it is the most important foundational leadership element from the 4 Power Leadership Framework perspective. In reality, the two perspectives are not in contradiction. In the Kouzes and Posner survey, respondents are reacting to a question that requires them to rank leadership qualities. The leadership qualities in the survey are cumulative in some aspects and interdependent in other aspects. I don’t interpret them all as equal qualities. Additionally, people react to the qualities that will most immediately affect them. Honesty, for example, is most important to respondents because it will have the most profound impact on the leader-subordinate relationship. Therefore, it is not surprising that honesty consistently appears first in survey results. The self-control aspect of leadership can be likened to the foundation of a house. If you were asked to rank the qualities you valued most in a house, you probably wouldn’t say, “A good solid foundation!” Most likely you would say things like “roomy, comfortable, warm, open floor plan,” etc. Foundations are essential but unseen. However, just as you cannot build a house without a strong foundation, self-control is the foundational element that gives the leader his Power of Poise. Leadership that is built to last is built upon self-control. Why is the inner self so relevant to effective leadership? The internally conflicted and insecure leader will have difficulty in achieving sustainable, long-term success. Followers will inherently sense the leader’s internal conflicts, and he will be ineffective because other people will not be able to commit to him and accept his leadership. Unless the leader masters his internal challenges and wins the victory over “self” first, he will lack the solid inner core upon which leadership is built. To positively impact other people, you must set things right internally first. Have you ever been around people who are so emotionally variable that you never know what to expect? One minute they’re smiling. Next minute, they are sullen. One minute they’re calm and patient. The next minute they are short tempered and biting people’s heads off. You won’t be approachable if others cannot gauge what your reaction will be to bad news. Emotional unpredictability is very unsettling to subordinates. They seek stability in their leader. They want to know that he or she is a steady source of strength and can be relied upon in times of crisis. It’s important that the poised leader demonstrate calm under pressure. A cool head will allow you to think clearly and develop solutions. Even when things are going well, the poised leader must remain restrained. Unrestrained euphoria during success is as dangerous as depression during difficulty. Never allow yourself to get too high or too low. Being in control of your emotions doesn’t mean that you never show emotion. It simply means that emotions are displayed in deliberate measured doses. Even displays of anger are appropriate under certain circumstances, but never to a point where the leader appears unglued. Maslow advanced therapies in applied psychology that leveraged the inner tools that people have to heal emotional wounds and re-balance their disposition. It is a philosophy of empower­ment through self-knowledge. 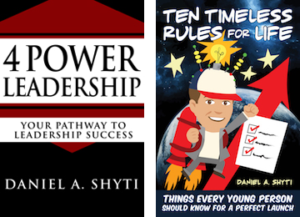 To help you gain greater insight of your inner self, I have developed a tool on the 4 Power Leadership website called “The Emotions Inventory.” You can receive this tool as part of our free giveaway by joining our mailing list. The Emotions Inventory will perform some valuable introspection. If you’re honest with yourself and are unafraid to face the answers, you can significantly increase your self-awareness by completing the exercise. A leader, by the very essence of his or her position, will attract the constant scrutiny of others. If you don’t fully understand yourself, you will be at a severe disadvantage as a leader. People will ultimately know your strengths and weaknesses better than you do. The journey toward developing the Power of Poise will take you through a process that will create much fuller self-knowledge. Through self-knowledge, you can then make needed adjustments. Through focus, attention, and repetitive effort, you can achieve control over your emotions.